We are immersed in a bath of choreographed aquatics from Hollywood (Esther Williams, Busby Berkeley). But there is something else, as a Korean, Ji-Yun bases her research around signs and bodies. 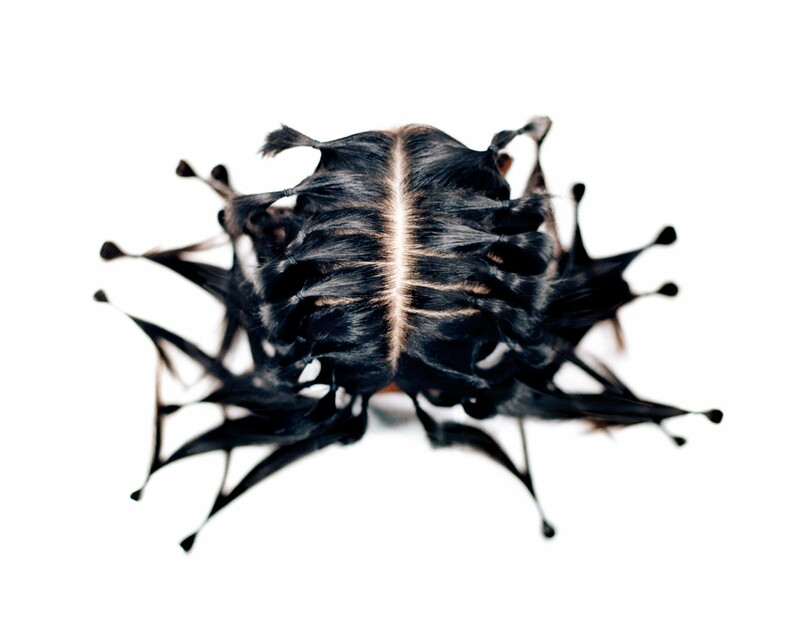 Rounds, spirals, stars: Once again, you have to look twice for a choreography of bodies revealing its ambiguities, for spirals of hair that hold us captive with their tentacles, for a hairstyle ready to come alive and start to crawl like a crab. Discomfort and beauty."